Right to health; Moral and ethical aspects. Health services accessibility; Law and legislation. Medical care; Law and legislation. Amazon.com description: Product Description: The Globalization of Health Care is the first book to offer a comprehensive legal and ethical analysis of the most interesting and broadest reaching development in health care of the last twenty years: its globalization. It ties together the manifestation of this globalization in four related subject areas - medical tourism, medical migration (the physician "brain drain"), telemedicine, and pharmaceutical research and development, and integrates them in a philosophical discussion of issues of justice and equity relating to the globalization of health care. 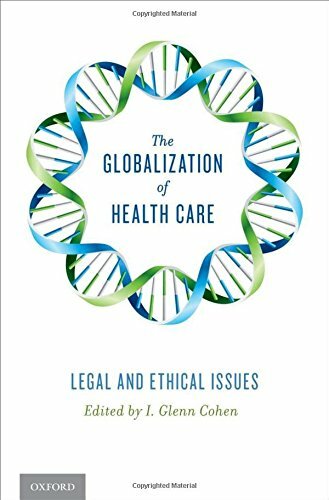 About: The Globalization of Health Care is the first book to offer a comprehensive legal and ethical analysis of the most interesting and broadest reaching development in health care of the last twenty years: its globalization.